Size of this preview: 616 × 600 pixels. Other resolutions: 246 × 240 pixels | 1,750 × 1,704 pixels. 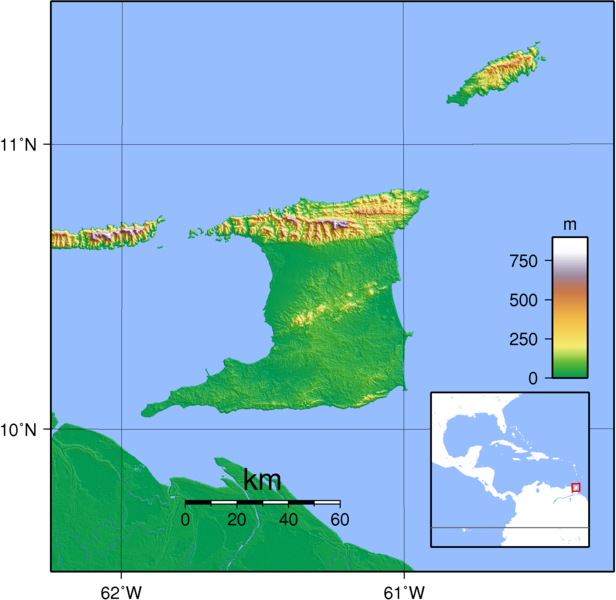 Description: Topographic map of Trinidad and Tobago. Created with GMT from SRTM data.